Tinder, Inc. owns and operates the smartphone-based dating application, Tinder. The original app began, and is still offered, as a free online dating service. It presents users with photos of potential dates. The user can swipe right to express approval, or swipe left to express disapproval. In March 2015, Tinder released a premium service called “Tinder Plus,” which allows users to access additional features of the app for a monthly fee. 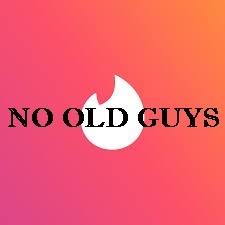 Consistent with Marina Point, we conclude Tinder’s alleged discriminatory pricing model cannot be justified by a generalization about the relative incomes and budget limitations of the two implicated age groups. establishments of every kind whatsoever.” (§ 51, subd. (b); Marina Point, supra, 30 Cal.3d at p. 740.) Insofar as the complaint sufficiently alleges a violation of the Act and the public policy it embodies, a claim for violation of the UCL has also been stated. And, with that, the trial court was reversed and the matter remanded for further proceedings. It ‘s important to note that the court did not preclude Tinder from alleging other, non-discriminatory reasons for its pricing structure. So,we would anticipate a second bite at the apple by Tinder. This entry was posted in Cases and Comments about Social Media, Legal and tagged age discrimination, ALLAN CANDELORE v. TINDER, Bus. & Prof. Code 17200, Civil code sec 51, Inc., papplaw, tinder, Unfair Competition Law, Unruh Civil Rights Act by ericpapp. Bookmark the permalink.